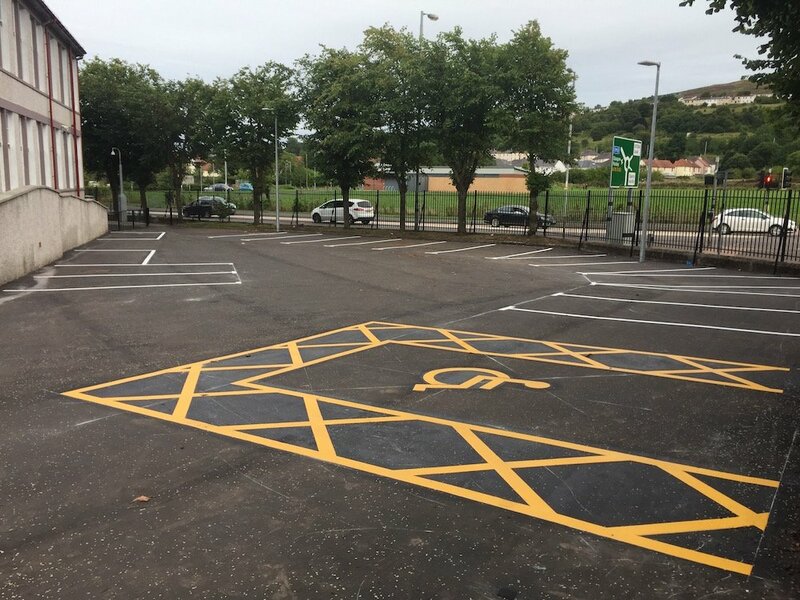 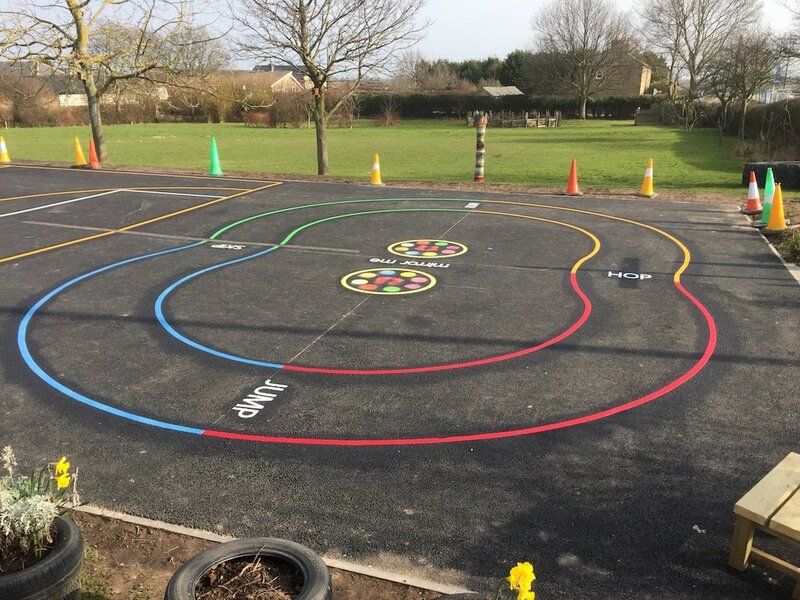 first4playgrounds have just completed another thermoplastic marking installation at Hill of Banchory School in Aberdeenshire, Scotland. 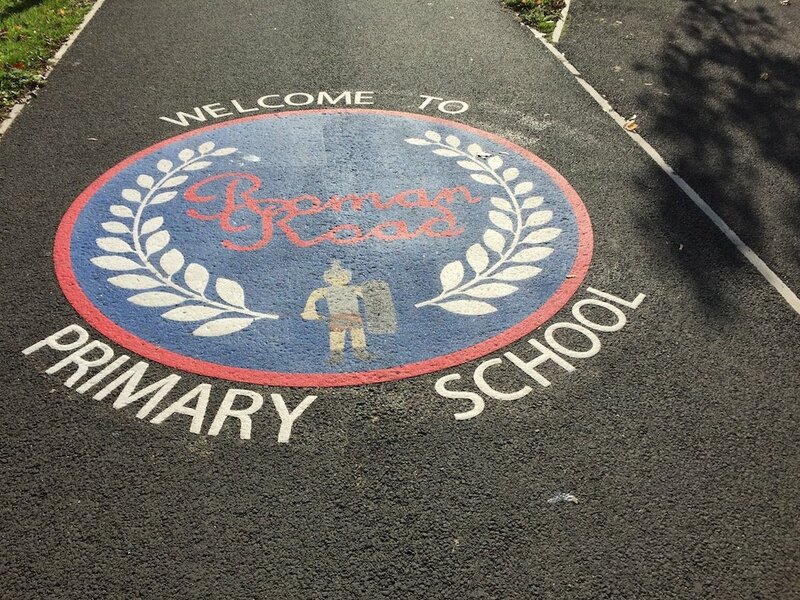 The school were having problems with children crossing the road near a junction. 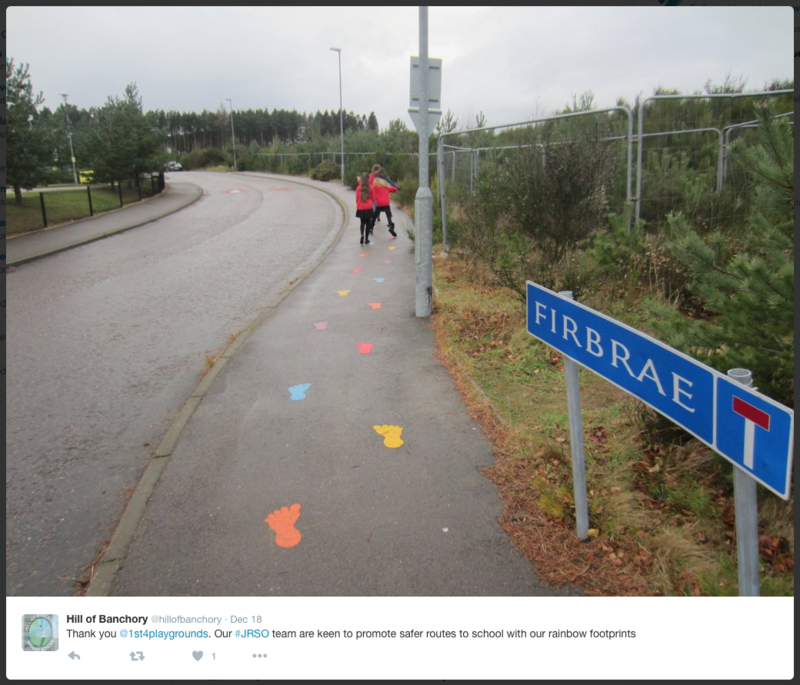 They therefore wanted to encourage them to walk up the road, using the safe crossing area. 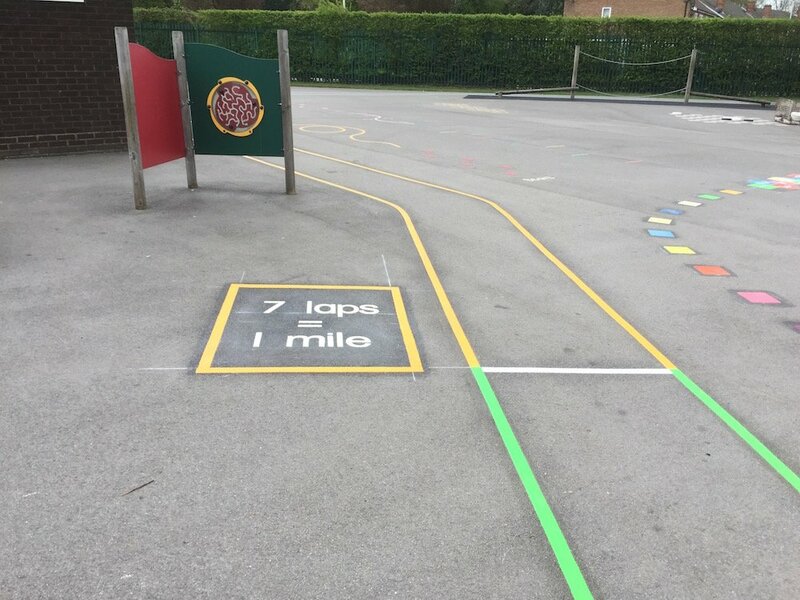 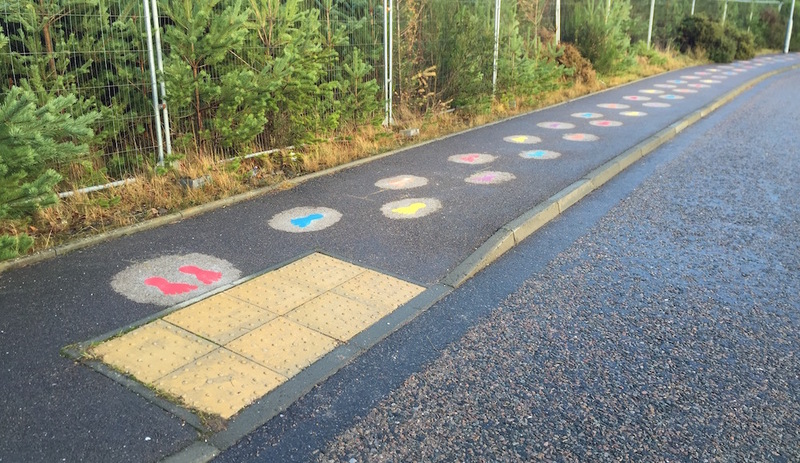 We achieved this by using coloured footprints on the pavement showing the way up the lane away from the crossing. 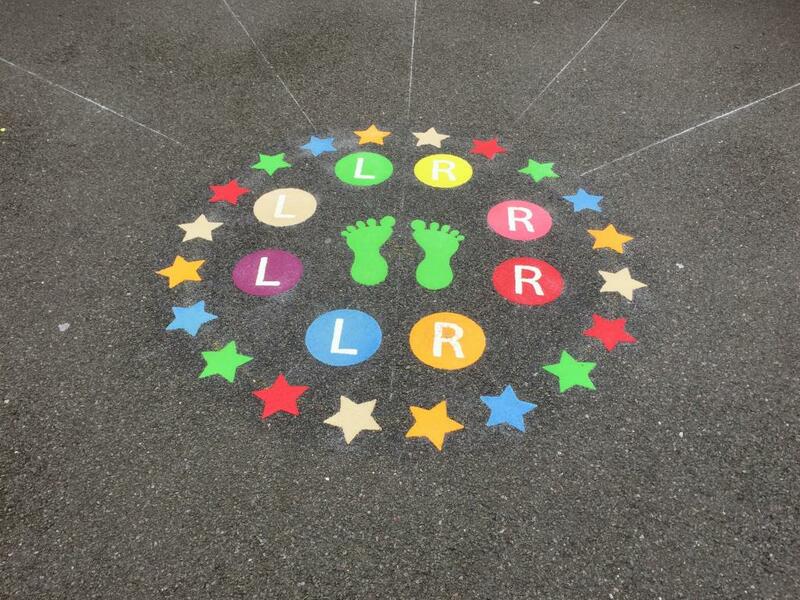 The feet are 300mm long and our installed price is £10.00 per pair. 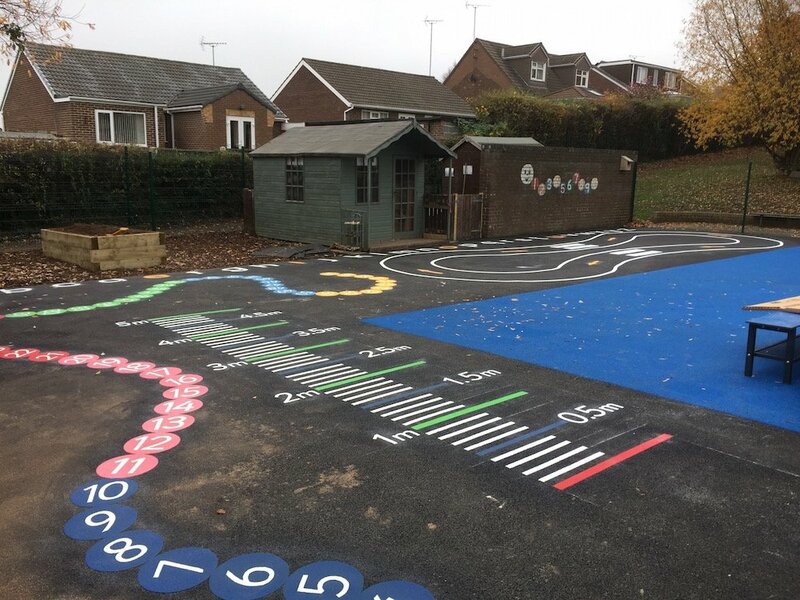 Contact us on 0191 477 8900 for a free site survey and quotation.